My name is Jon Adler. I’m a Welshman living in Bournemouth , England. I currently coach golfers of all abilities. I have studied with some great mentors and trainers each of them helping me to learn for myself. As well as being a Performance Coach to some great golfers I consider myself to be a student of the game of golf. My journey as a coach began in 2001 as a coach to business owners and professionals. 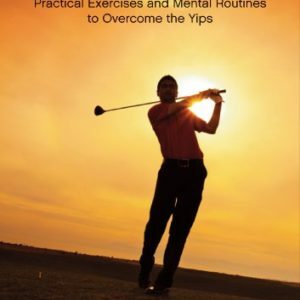 When I stopped playing football and started to play more golf, I realised that my mental approach needed to change. Then I read Timothy Gallwey’s book The Inner Game of Golf. My performance and enjoyment improved dramatically. As an 18 handicapper I shot a round of 10 over par by thinking less and trying less. So I wondered if I could combine what I had learned in coaching business people with this new understanding of the Inner Game of Golf. I began to coach a friend at my local golf club. I am not a swing coach. My interest is in how we can develop the mind for better performance. We worked together and he shot a course record for an amateur at his club. I continued to train myself. I am always looking to improve my coaching and my understanding of the mind. I have travelled around the world to gain more insights. With the renowned golf psychologist Jos Vanstiphout on the European Golf Tour, with Buddhist Monks in Thailand, sitting for 10 days in complete silence with Hindu Gurus in India, all in my quest to understand the mind. I have coached on the European Tour and Challenge Tour and I have now coached hundreds of golfers and held golf schools at numerous golf clubs. 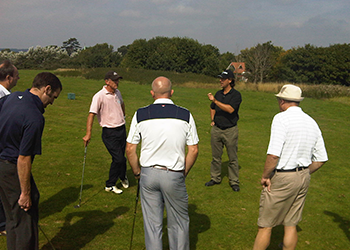 I have used all my experiences to develop my unique golf coaching programmes. This understanding of your mind is available to anybody. You do not need to be a certain standard of golfer to understand your mind, play better golf and improve your focus and concentration. The same universal principles apply to us all. I play the game myself and all of my coaching comes from my own experiences not from a book! I have had some success as an amateur. 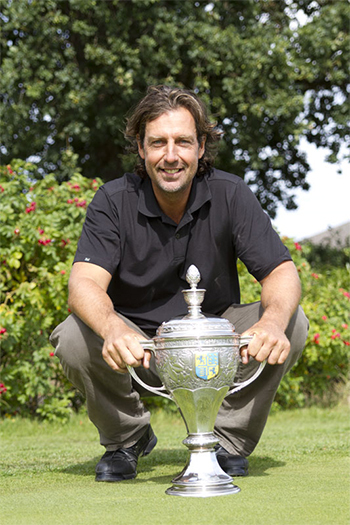 In 2009 I won The Bournemouth Open, the only 72 hole handicapped tournament in the UK. In 2010 I became the only person in the tournament’s 59 year history to defend the title and win back to back. I tell you this, not to blow my own trumpet, but to show you that my coaching comes from real experience. I am not a great golfer, but I can concentrate my mind and perform to my potential when it matters. 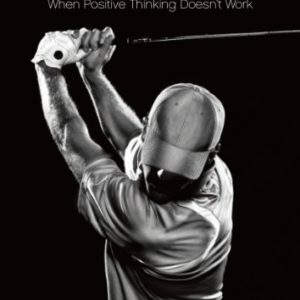 I would be delighted to help you reach your potential so, if you feel that you can improve your golf and you are curious about how your mind works then please contact me.